The race to see who will succeed Maggie Hassan as New Hampshire's next governor went down to the wire, with Republican Chris Sununu finally being declared the winner in the early morning hours on Wednesday. Van Ostern sent a statement Wednesday morning congratulating his opponent. "While I am disappointed in the results of the election, I respect the will of New Hampshire voters and I wish Chris Sununu congratulations," he wrote. "I am honored and humbled by the hundreds of thousands of New Hampshire citizens who have supported our effort, and I know that our state will move forward as one, to build a brighter future together." Both Sununu and Democrat Colin Van Ostern were out campaigning on Tuesday. Hassan did not seek re-election, choosing instead to run for U.S. Senate. As of 1 a.m. Wednesday, the race still hadn't been decided. Sununu held a narrow 49 percent to 47 percent lead. 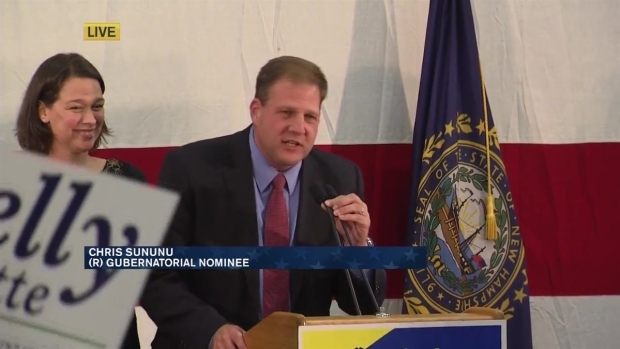 "It's close," Sununu told his supporters. "Nothing is over yet. But boy, do we feel good." 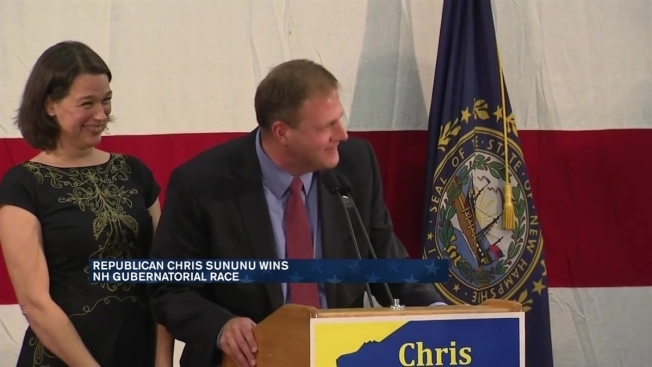 Several hours later, the Associated Press called the race for Sununu. Van Ostern and Sununu served together on the Executive Council. Van Ostern is a long-time political operative, and Sununu is the son of former Gov. John H. Sununu and the brother of former U.S. Sen. John E. Sununu. Other key races on the ballot in New Hampshire on Tuesday included the District 2 U.S. House race between incumbent Democrat Ann McLane Kuster and Republican Jim Lawrence and the District 1 U.S. House race between incumbent Republican Frank Guinta and Democrat Carol Shea-Porter. NBC News projected Kuster as the winner over Lawrence shortly before 1 a.m. Wednesday. Kuster was leading Lawrence 50 percent to 46 percent with 77 percent of precincts reporting. NBC News also projected Shea-Porter as the winner with a narrow 44 percent to 43 percent margin over Guinta.